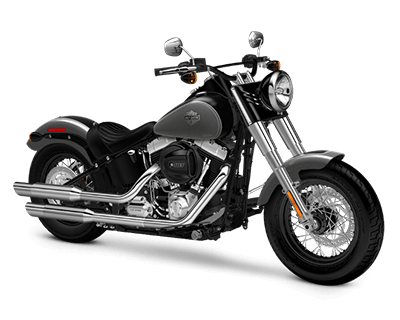 Harley-Davidson Softail® models provide Overland Park and Lenexa riders with the iconic looks of a rigid-frame design that hides the rear suspension behind the transmission in order to deliver modern-day comfort. 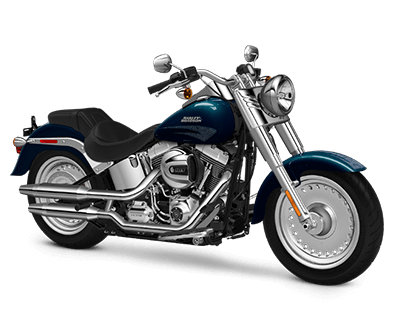 Already strong all-around performers, the 2015 Softail® models have been given a new front brake system that promises a 40% reduction in the amount of force required for peak braking. This is the original and inimitable fat custom bike, with a relaxed riding position and luxurious styling making it instantly recognizable in Overland Park and all across the United States. Burly, bold, ergonomically ideal, and easy to handle, the Fat Boy® employs state-of-the-art technology to satisfy even the most demanding of Lenexa riders. This is the renegade brother of the Fat Boy®, offering the same exceptional riding dynamics with a dark and daring style. Like the Fat Boy®, it embraces the hardtail choppers of the 60s and 70s, but gives that design a distinctive twist. 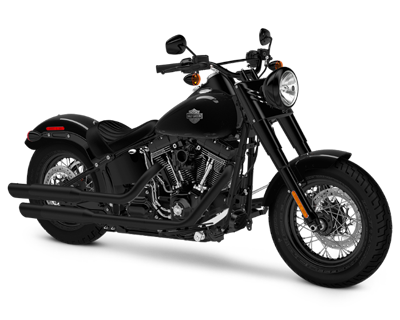 With a black denim finish on the frame, swingarm, front shock covers, derby cover, horn cover, coil cover, oil tank and air cleaner cover, as well as blacked-out wheels, mirrors, and headlamps, the Fat Boy® Lo is impossible to ignore, and few would want to try. 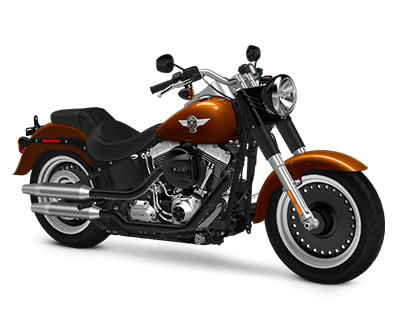 The Softail® Deluxe is a rolling tribute to the beauty of Harley-Davidson’s past. This nostalgic stunner incorporates old-school fenders, white-walled wheels, a tombstone taillight, and a minimalist luggage rack to evoke an unmistakable retro charm. That timeless style is blended with modern comfort, with a pullback handlebar for easy riding, and full-length rider footboards to help you find your perfect foot position. Living up to its name, the Heritage Softail® Classic embraces the golden era of motorcycling. 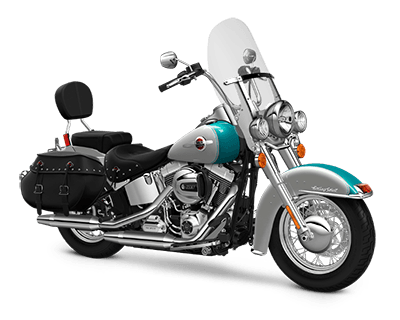 With laced wheels, whitewalls, a 7-inch bull headlamp, and studded leather saddlebags, this is a stunning model for Overland Park and Lenexa riders. The seat is hung low, a pullback handlebar enables a relaxed ride, and an easy-reach stand has been included for added ease of use, making this a good choice for first-time buyers. 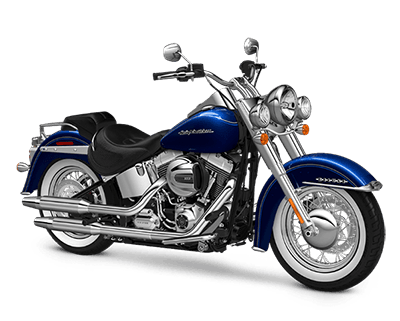 The Softail® Slim is also given retro style, and has clearly been designed with novice riders in mind. The saddle is slung relatively low to the ground, creating a low center of gravity that improves responsiveness and handling at low speeds. However, classic bobber styling is still realized, with a cat eye console and Hollywood handlebars. Even in its name, the Breakout® embraces freedom and defiance. That promise is brought to life with classic drag-bike styling, with strong lines and large wheels lending this model an imposing air. The seat is low for added ease of use, while a damped and balanced suspension provides a strong power-to-weight ratio, making the Breakout® relatively easy to ride despite its size.